“10 For a day in your courts is better than a thousand elsewhere. 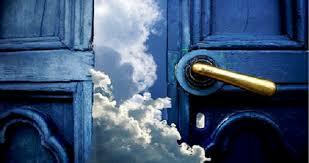 I would rather be a doorkeeper in the house of my God than dwell in the tents of wickedness. That sounds good. I’d rather be a doorkeeper, a doorman, in God’s house of generosity and graciousness than live with the wicked. So, you wanna hate me? I wanna love you. The same way we do God and God does us. Love the unlovable, yes, even those obliviots who lounge in the passing lane of the highway. Or the anti’s who are opposed to everything and for nothing. Or the poor, the marginalized; those who have little, nothing, less. Or those who hate you for who you are and who you aren’t. Love obliviot’s, haters and anti’s and spend some time at the door to His kingdom.